Leading gaming software developer Net Entertainment (NetEnt) is staying true to its reputation of releasing fabulous slot games from time to time. 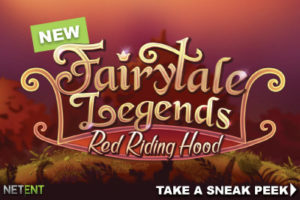 The well known company recently released an exciting new slot game that goes by the name of Red Riding Hood. There are no prizes for guessing that the game has a fairy tale theme, but developers seem to have combined the features from more than one fairy tale when making this one, just to keep things interesting. NetEnt slot games always get a lot of play because they have unique themes and many exciting features over and above their amazing software and sound effects. Red Riding Hood stays true to the style of NetEnt games which means that you’ll have a whole lot of fun when playing it. The game does have a few things that could be improved but it’s a fabulous one when you consider all things. The team of developers working on this game seem to have put a lot of effort into its graphics. The game has a very bright look and it is filled with catchy graphics and visuals. The background is really special looking and what’s more, it doesn’t remain static while the reels are spinning. It also has an interesting special feature in the form of a mini-game known as Beware the Wolf. You’ll find that it is possible to spin this game for as little as $0.01 or for as much as $200. Anyone can play this game, irrespective of what their budget is. Therefore, this is a good game to try out if you’re not in the mood to gamble a lot of money. 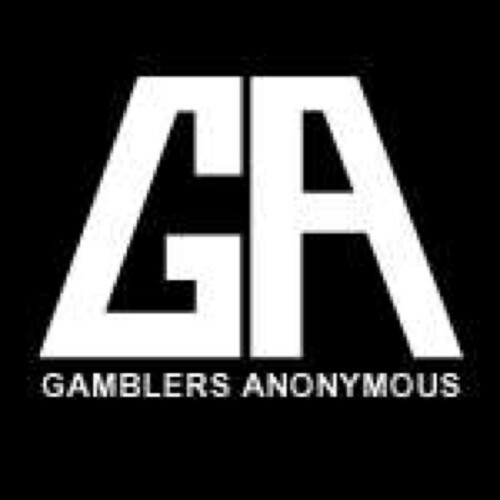 Of course, you’ll stand a good chance of winning big prizes if you place big wagers on your spins. The game features a very wide of special features in addition to many attractive bonuses. The game has a special fairy that delivers these special features. For instance, the fairy can launch a magic spin which will turn most of the icons of the reels into the same one. There’s also a Fairy surprise that can turn a losing spin around by changing the icons. You’ll also enjoy the Wild Spin because it gets sticky Wilds on the game’s reels. These sticky Wilds get their name from the fact that they stay on the reels for multiple spins. The game also has three locked boxes that you can open if you’re really lucky. One of the special features available when you open one of these locked boxes is instant credit. Another box can give you free spins whereas the third one launches the Beware the Wolf mini-game that can increase your winnings by a substantial amount. The boxes are opened purely at random (using the game’s RNG) and you won’t be given the option of choosing one or the other unlike many other games. You’ll definitely enjoy playing the game because of all its amazing features, but there’s a slight chance that its fairytale theme might be a tad confusing because it doesn’t stick to the Red Riding Hood story entirely. However, you’ll get used to it pretty soon and it is unlikely that you’ll have a problem with the story after that. The Red Riding Hood slot is definitely worth a try because of its superb graphics and fat bonuses. 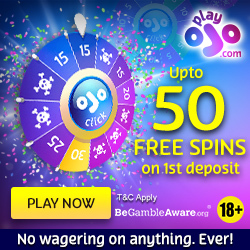 You’ll also enjoy the flexibility that the game offers with its different bet levels. The special features also take up the excitement levels. If you already enjoy playing games from NetEnt then this is without doubt a great game to play and it is available on many leading gaming sites.